The late radio personality Paul Harvey had a famous show called “The Rest of the Story.” Harvey would bait his audience with a cliffhanger story based on sketchy facts, let them reach a conclusion, and then finish it with details that put it all in perspective. With the recent use of force events in our country, there has been much attention as to whether a police officer’s use of force was appropriate under the circumstances. The danger is that our desire for a quick answer to this question can sometimes usurp the necessity to first search for the unabridged truth. The rise of the information age – including 24/7 news outlets clamoring to be the first to break a story (however incomplete) — only adds an additional layer of challenges for municipalities and their police forces. So what do police departments need to keep in mind regarding training their officers and managing possible incidents in this digital world? A comprehensive understanding of the law is critical, but so is the completion of a comprehensive incident report. Graham v. Connor: The United States Supreme Court’s Word on Excessive Force. In Graham v. Connor, the United States Supreme Court stated that an officer’s actions do not amount to excessive force if they are objectively reasonable in light of the facts and circumstances confronting the officer, without regard to underlying intent or motivation. Severity of the Suspected Crime. When evaluating this factor, courts look at the type of crime at issue when an officer confronts a suspect. This requires the officer to evaluate whether the suspect is engaged in a violent crime, such as armed robbery or assault; or whether the offense is non-violent in nature, such as a minor traffic violation. Whether the offense is a misdemeanor versus a felony is also a factor to consider. Courts have uniformly held that nonviolent misdemeanor offenses are not of the type that would typically give an officer reason to believe the suspect was a potentially dangerous individual. On the other hand, more serious and potentially violent offenses create a heightened awareness that the suspect may be armed and dangerous, and therefore would lead a reasonable officer to conclude force may be necessary to apprehend the suspect. Many times these lines are blurred, and the officer must use his best judgment. The real question is whether the offense at issue would give the officer reason to believe the suspect was a potentially dangerous person. This factor is typically the most discussed of the three, and considers such facts as the physical size of the suspect versus the officer involved, and whether the suspect had a weapon at the time. Other facts that are considered are the demeanor of the suspect when approached by the officer, and whether the suspect was willing to answer the officer’s questions. The presence of a weapon on a suspect is typically viewed as an obvious threat of harm to the officer. However, it should be emphasized that the law does not require the officer to actually see a weapon to justify the use of force. The officer only need a reason to believe the suspect is armed. For instance, if an officer sees a bulge under the suspect’s shirt or waistband, the officer has reason to believe the suspect is armed and poses an immediate threat. Contrary to popular belief, the presence of a weapon on a suspect is not required to justify an officer’s use force. Courts have routinely held that force is appropriate in circumstances when a large-sized suspect is belligerent to the officer, unwilling to answer questions, and threatens the officer with words and body language — even though the suspect is unarmed. This factor is important as it relates to the officer’s need to keep a suspect under control during the detainment or arrest process. If a suspect is calm and compliant, the need to use force is not likely present. However, there are situations where use force is justified to allow the officer the opportunity to contain the suspect at the scene. The court looks at whether the suspect was compliant with the officer’s commands, such as instructions to stop running or to show hands; whether the suspect attempted to evade arrest by turning away from the officer or running from the scene; and whether the suspect attempted to strike the officer to improve the opportunity to flee. The Court emphasized that the use of force determination is a fact specific analysis and must be reviewed on a case-by-case basis. The question is whether a reasonable officer in the same circumstances would have concluded that a threat existed justifying the particular use of force. Courts also are careful not to look at the particular use of force with the 20/20 vision of hindsight. Instead, the analysis is judged from the perspective of a reasonable officer on the scene at the time. Any officer involved in a potential excessive force case should take the time to complete a comprehensive incident report, making sure the factors outlined above are addressed in detail. While the media may sensationalize the story for their own self-serving purposes based on sketchy facts, an officer’s report and other investigative documentation can serve to put the matter into the proper perspective. It is only after the whole truth is obtained through proper documentation that The Rest of The Story can be told. James Thornton is Of Counsel at the Raleigh office of Cranfill Sumner & Hartzog. 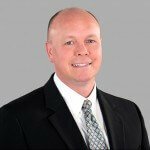 He has been a litigation attorney since 1989 and has been involved in litigation in a broad range of industries, including pharmaceuticals, medical devices, biotechnology, consumer products, health care, trucking and transportation, waste management, public utilities, public accounting firms and municipalities. James has also served as local or regional counsel in product liability and mass tort litigation, including class action and multidistrict proceedings.